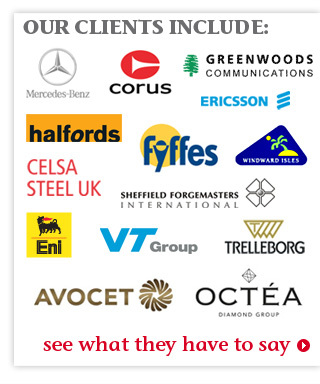 Full details and client testimonials on this website. Mteq sector specialists deliver reductions in Life Of Mine (LOM) operating costs and working capital requirements through implementing step change in operational performances. In the UK, Continental Europe, South America and Africa, organisations use Mteq to implement a range of methodologies and niche expertise in all areas of the value-chain. These include supply chain, specialised manufacturing, procurement, working capital reduction, service operations, sales effectiveness and third party contractor management. Clients are business leaders who overview the vital functions of their organisation on a daily basis. They are able to utilise Mteq implementation skills to drive operational advantage, accelerating the resultant impact on profit growth and key financials. The team consists of proven specialists with exemplary project delivery experience. They share one thing in common, they are not theorists - they define and deliver step change improvement programmes with measurable results, and have delivered for clients worldwide. 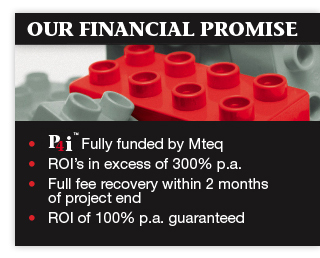 Mteq creates value for organisations - through improved performance achieved by providing objective advice and implementing business solutions.